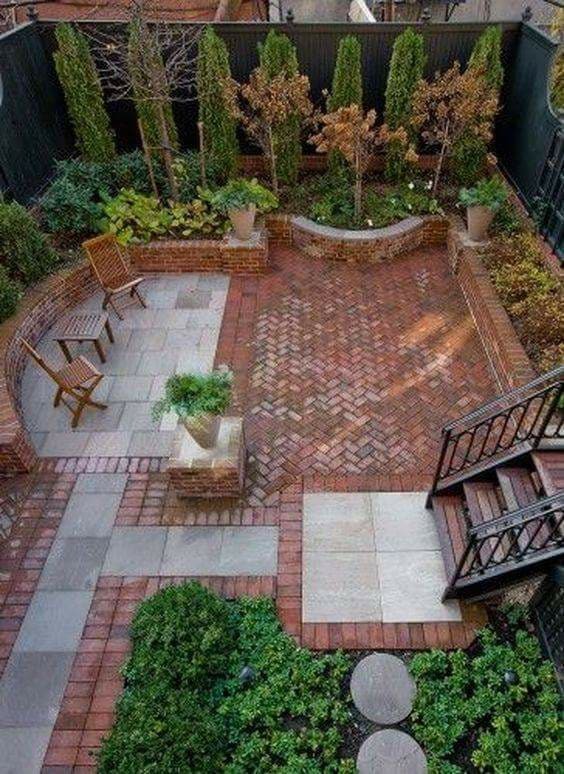 Every person wants to have outdoor space that will be the secret place. Place where we can spend lovely time with the people we love, with family and friends. 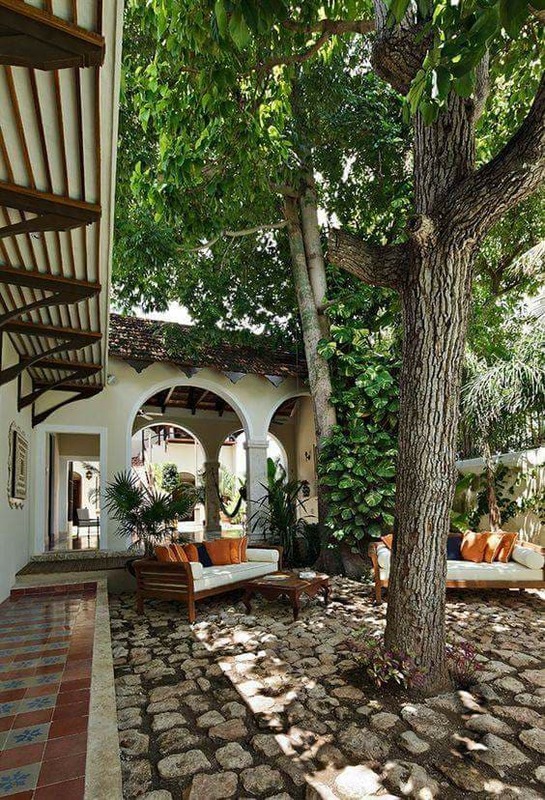 Courtyards are great small places that we can use for this aim and that’s why I decided to show you wonderful rustic courtyards in the following. Don’t miss to see it this day and also to share it with friends! for more ideas, visit our website and see special natural wood furniture ( our last post) and many other interiors and exterior design ideas. How great design for one courtyard place, rustic wooden bench and door and also a vertical wall garden its enough for modern look. Use this place to spend great moments with your family and friends. 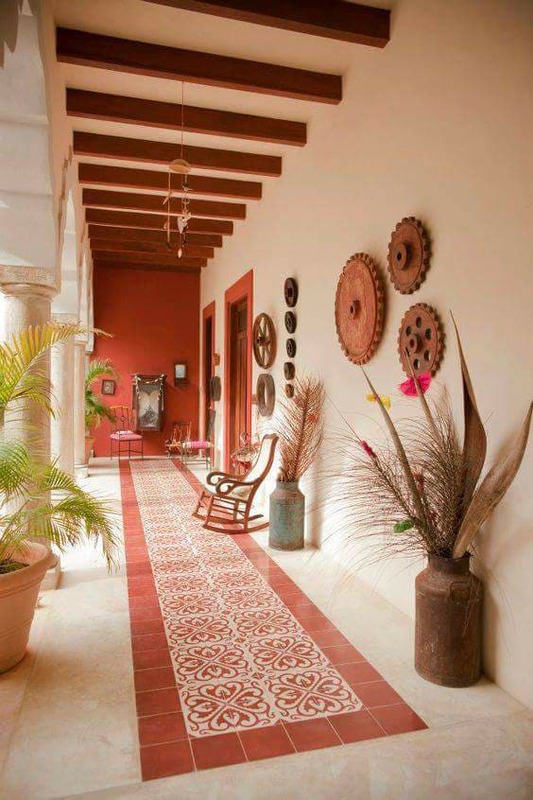 I really love the rustic style but also I love the floor made of bricks like it’s the case here in the photo. This photo can proof us that the design of the house and outdoor is our choice. I suppose that we need to bring the best ecision for this place. 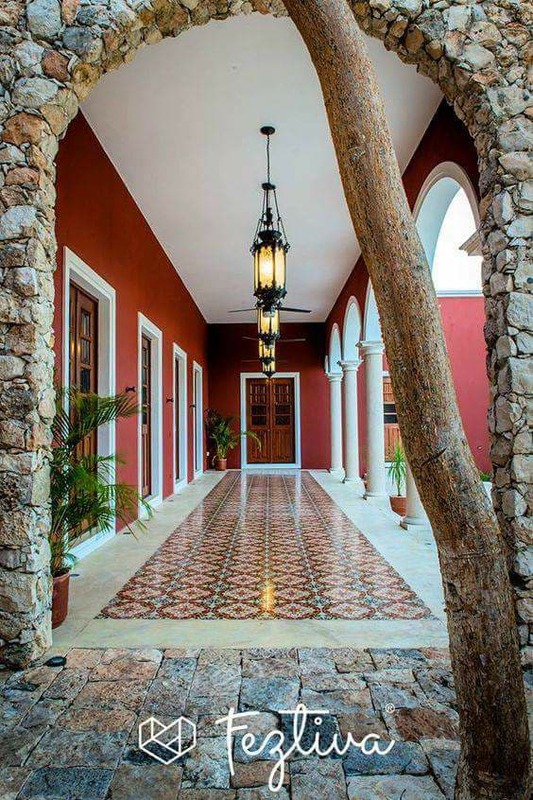 The arch made of stones will bring the contemporary style of interior and architecture in your own place. you can be satisfied with the results, just if your firstly see this idea hereinafter. 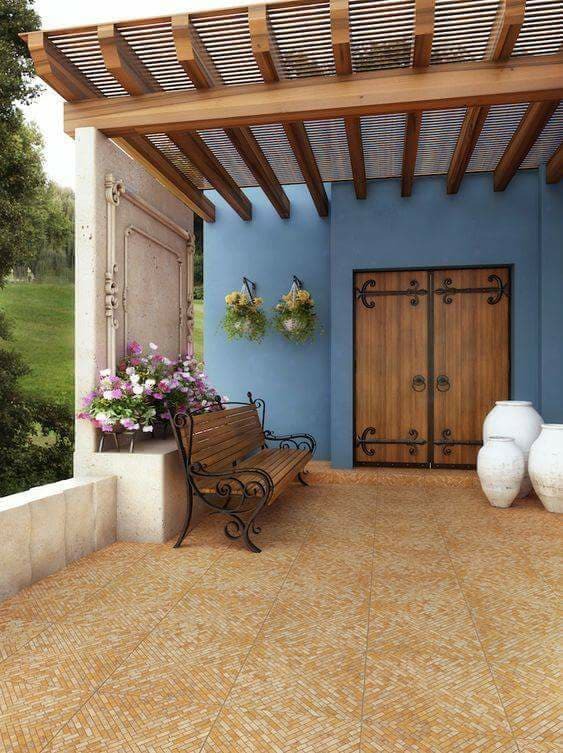 Take a look in this amazing flooring of tiles that can also be the floor of your outdoor place. Spend some time in seeing this photo and copy the style for your place too. Be modern! 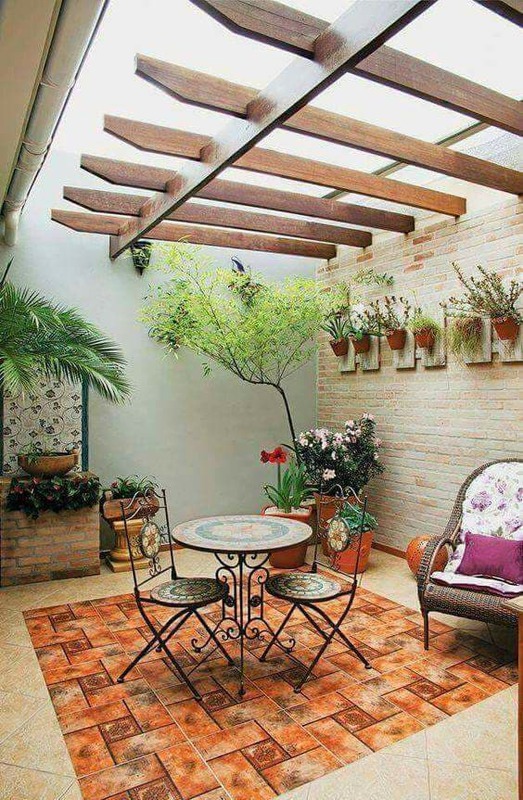 Don’t forget about the wall of your outdoor courtyard place. Add something that will look nice and something that reminds to the rustic style. If you don’t have an idea how to make that find motivation in the photo here. 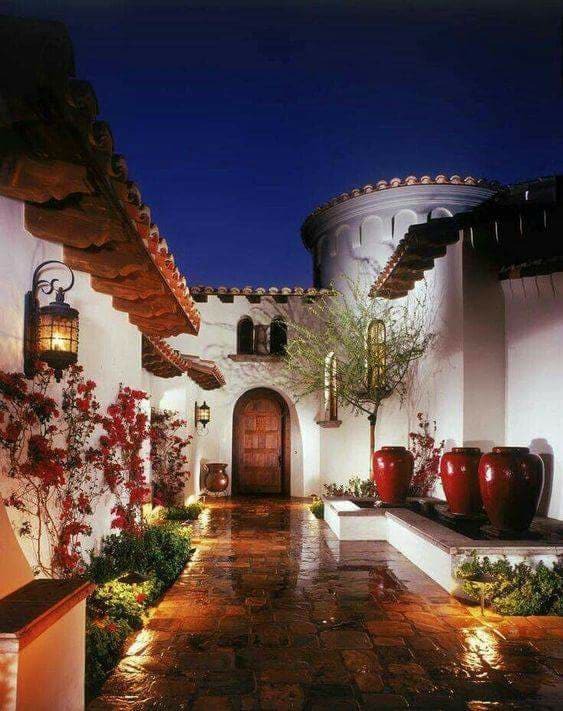 Or, if you already have well designed courtyard share the design with us through sharing photo below this post. Lovely seating area and vertical garden for any type of outdoor place. Copy this style for your home and enjoy in the decoration for yourself and also for your family. Keep the tree in the middle of your outdoor place and enjoy in the nature. You don’t need to cut the tree out of the decor because with the tree the design is much more better! Take a look in this photo now. Tall vases are great choice for indoor and outdoor of your house. 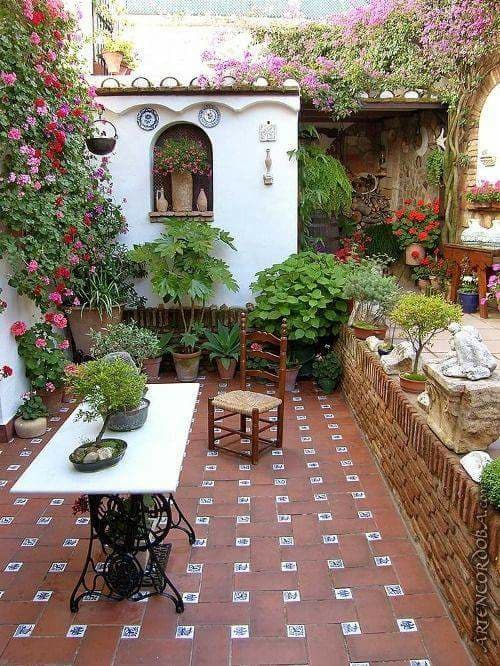 Find the suitable home for your fresh flowers and about the flooring of the courtyard choose bricks or stones as a material.